When you ask car buffs what their favorite movie car is, the answer is often the 1968 Ford Mustang 390 GT fastback driven by Steve McQueen in the 1968 movie Bullitt. To celebrate the 50th anniversary of this masterful thriller, the experts at Ford are releasing the 2019 Ford Mustang Bullitt. First introduced at the 2018 Detroit Auto Show in January by McQueen's granddaughter, actress Molly McQueen, this unique performance vehicle wowed the crowd and critics. As you might expect, all the dealerships involved with the Southern California Ford Dealers are extremely excited to not only offer this amazing piece of automotive machinery but also to drive one for ourselves. 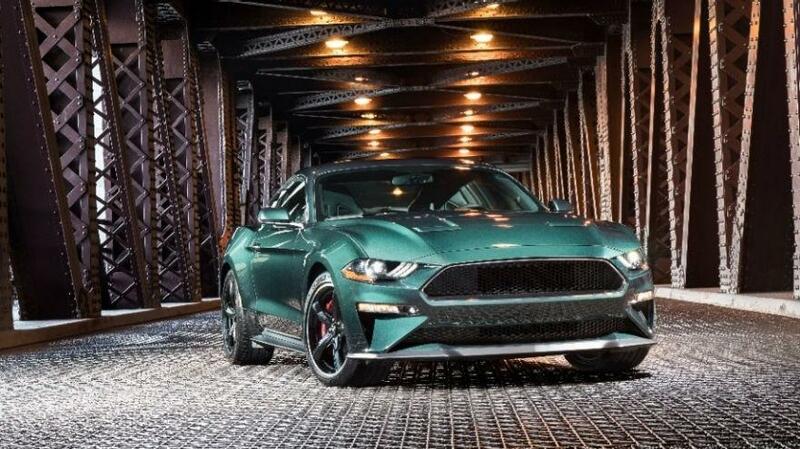 While all the specs for the 2019 Ford Mustang Bullitt have yet to be released, we thought we'd share all that we know so far. Trust us, you'll want to read about this beautiful and powerful sports car. The 2019 Ford Mustang Bullitt is built on the Mustang GT Premium with the Performance package. A 5.0-liter Ti-VCT V8 engine that puts out 475 horsepower and 420 horsepower powers the Mustang Bullitt. You also get Rembo six-piston front brake calipers, K-brace, performance rear wing, unique chassis tuning, electronic power assisted steering, and a 3.73 TORSEN limited-slip rear axle. The intake manifold is borrowed from the Shelby GT350, which accounts for the 15 extra horsepower and eight-mph higher top speed of 163 mph than you'll find in the regular 5.0-liter V8. The car is also equipped with a six-speed manual, so you can have full control over the Ford Mustang Bullitt just like Steve McQueen himself. Because Ford wanted to honor the original from the movie, there are a number of unique exterior changes from the regular GT Premium. The 2019 Mustang Bullitt has very little in exterior badging, to give it a classic look. You do get a single trunk-mounted badge that links the car to the film and matches the design of the gas cap. You'll also find chrome throughout the body and 19-inch wheels with red brake calipers. There are two bold exterior colors: the movie-specific Highland Green and Shadow Black. Unlike the original, the 2019 Ford Mustang Bullitt has an interior to match some modern tastes. You get green accent stitching throughout the leather-lined interior and a white cue-ball-style shift lever. The car's 12.0-inch digital gauge cluster includes a special “welcome” graphic and you can also add Recaro seats, navigation, memory seating, and blind-spot monitoring with rear cross-traffic alert. For safety, the Mustang Bullitt will have all the same features as the GT such as Safety Canopy side-curtain airbags, Personal Safety System for driver and front passenger, and SOS Post-Crash Alert System. 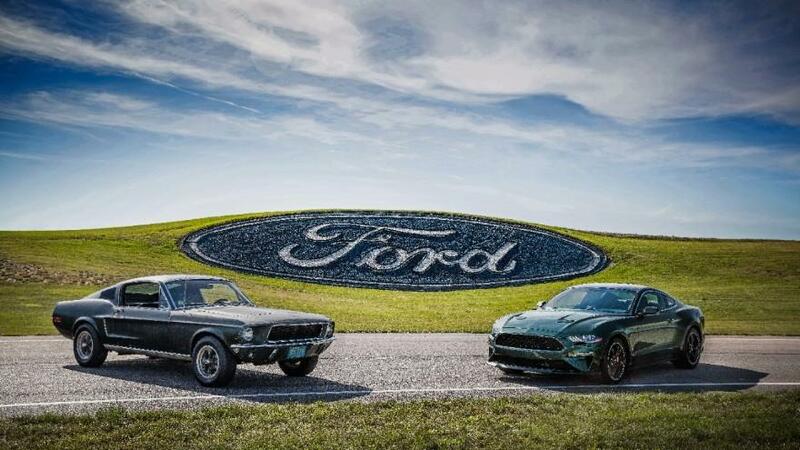 Ford is planning on releasing the 2019 Ford Mustang Bullitt to the public by the middle of this year. While no specific release date has been issued, you might want to contact your local Southern California Ford dealer to schedule a test-drive soon. The experts at the Southern California Ford Dealers have a feeling these once-in-a-lifetime sports cars will go fast, so make sure to call today!